Ezzah Mahmud jumped into this mosh pit of a review for Jeremy Saulnier’s third film. In randomly browsing YouTube, I came across the trailer for ‘Green Room’, as well as a mini-documentary/interview with the writer/director, Jeremy Saulnier. It was hosted on Vice, which is an awesome channel with very diverse and out of this world content. Check them out! I was more than intrigued to quickly watch this film. Prior to watching the film, the most appealing thing about it was its eerie feel. The film poster, trailer and teaser gently but forcefully ties you up, maddening in teasing you with the horrors of the demons of the inner self. It certainly made me feel comfortable. 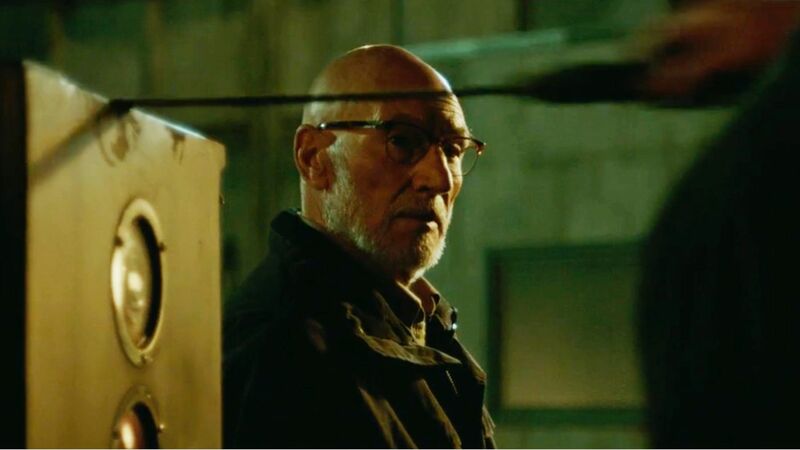 It also has the late Anton Yelchin as one of the lead characters, as well as Patrick Stewart in a more unconventional role relative to the what we’re used to seeing from him. This film is a horror thriller about a punk rock band falling into unavoidable circumstances. They accidentally come across a homicide, before finding themselves going head to head against a pack of neo-Nazi skinheads. Being trapped in a dodgy music club that caters to the white supremacist crowd in the wilderness of Oregon doesn’t help either. Frankly, I am not a huge fan of this genre, and I usually avoid them. However, I was weirdly attracted to this film, and chose to watch it anyway. I am glad, for it was a blast (both metaphorically and literally). It opens with a very tight shot of Pat (Anton Yelchin), the bassist of the Ain’t Rights, waking up in their van. This then introduces the micro world the film evolved in, as travelling and playing in an indie band pays little. We also meet other band members such as the guitarist Sam (Alia Shawkat), Reece (Joe Cole) on drums, and Tiger (Callum Turner), the lead singer. I couldn’t help but notice the green tone used widely, if not wholly in this film. This distinct trait gives the overall feel of the wilderness that organically intertwines with the locations. The word and the colour green was used brilliantly by Saulnier. The green room, for example, symbolises the holding room for the band, as well as the inciting location that project and traject the film forward. The colour itself, supposedly a very pure naturist and serene colour, turned out to be one of a very violent world. What was amazing in the film was the sound design. I can still recall the ringing annoying base sound used to amp up the mood of a scene. The ‘sound without a sound’ trick is also cleverly crafted and used; there is a scene where the band has an interview in a living room, and you can really listen to the air, so to speak. This helps to put you there as a part of them as well, in that tight space. It is a reminder of the audio placing us within the three-dimensional context of a film’s location. This film also manipulates the diegetic sound very well while moving the film forward. Remember that high-pitched sound a microphone makes when it gets too close to a speaker? Even that has a purpose in the film. A number of spectacular shots are not only memorable, it also made the inner film geek in me scream, “Fancy!” I also really like the lighting of the film. Overall, I noticed they used minimal artificial lighting, mostly it natural or diegetic. There’s also a pitch black scene, accompanied only by what they are saying. This not only dictates fear in you, but also makes you feel super vulnerable and bare, as you don’t see anything. Furthermore, I find the use of a mere lighter to light a whole room for the confrontation scene to be a great idea indeed. It definitely gives you the claustrophobic (or, as they say in the film, “claustrof**k”) feel. The script is cleverly written. The plot device is placed at the perfect timing and fits naturally. The most mundane reason is the one that gets them there at the first place, and gets you screaming frustratingly, “Why, why, why!” Without giving too much of a spoiler in the case you haven’t seen it yet, it is so relatable to us as a phone user, for it has to be plugged in to be charged. In this film, Sam leaves her phone inside the green room when they were ready to leave. This forces them to go back there, when a crime has already taken place. That’s when the action begins. One of the clearest progression in this film for me is Pat’s character. In the beginning, he is portrayed as a very timid guy, one who falters when he talks. However, after being pushed and boiled in this madness, it makes him a survivor with a notion of “I don’t care, I want to live” stuck firmly in his head. I admire his acting, and enjoyed every scene he’s in, with the exception of the gory one. The pacing of a character’s death (which, of course, is normal in a horror thriller) is reasonable. You have time to feel sorry for and root for each and every one of them. I think this is really important, for you to want them to live. In my opinion this is an awesome film. 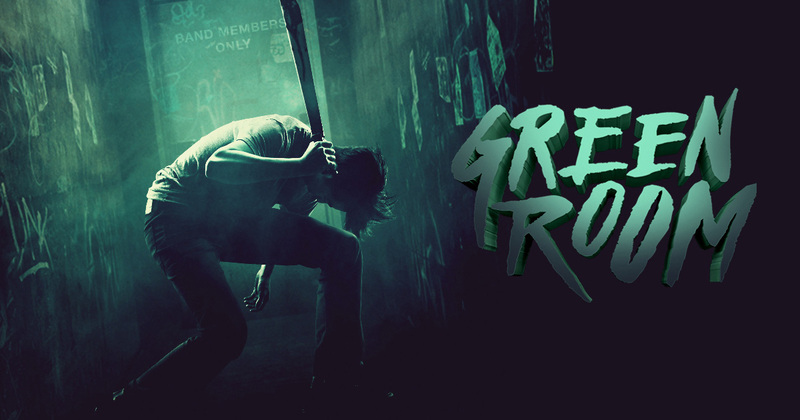 It will appeal to a punk rock band lover, as ‘Green Room’ is a mild horror thriller that provides just the right amount of gore with visually stunning craft. Give it a go, for you will love it. Ezzah is glad she is not a punk rock band lover, at least for this film. Follow her on Twitter.